Daytona Beach Weddings give you the most “bang for your buck” If you are looking to have an elegant wedding without breaking the bank- Daytona Beach is the best location for you. Daytona Beach has an array of hotels ranging from high end rooms at the Shores Resort and Spa or more affordable options such as the Best Western Aku Tiki Inn. Daytona Beach has miles of beachfront hotels for you to kick back and relax, with most having the option to have our services right at the their beach. 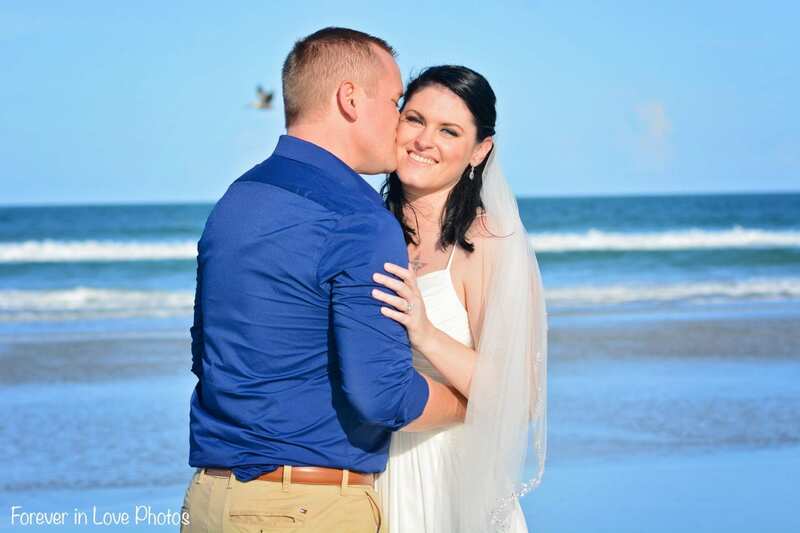 Not only is Daytona Beach your most affordable beach wedding location, but it is one of the best locations on the East Coast for your ceremony. The way the sun reflects off the water, the white waves of the Atlantic Ocean and dunes to add a beautiful tropical feel, your ceremony and pictures will be perfect. With some of the cleanest and bluest water on the East Coast of Florida and light sand, they are a favorite among our brides. Daytona Beach Weddings are also the most affordable. With our most affordable beach wedding packages, reasonably priced hotels, and affordable dining options, you can have your dream wedding without breaking the bank. Also, in most cases there are no permit fees, making your beach wedding even more affordable. If you are looking for ease, we have a list of hotels where you can have your Daytona beach wedding ceremony with us at. 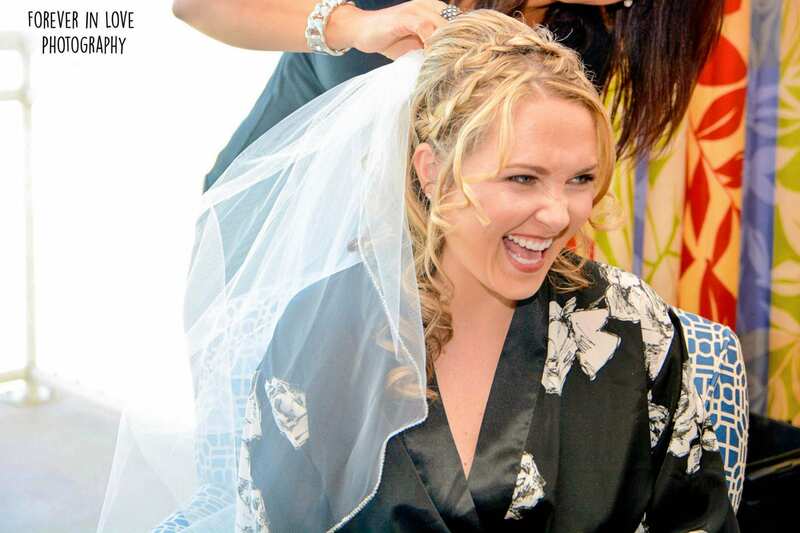 You can get ready at your hotel and simply head down to the beach for your ceremony. 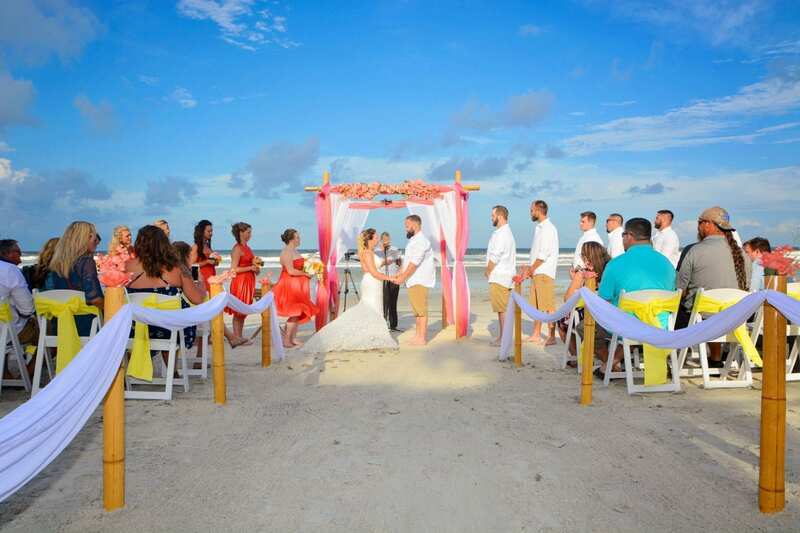 Eliminating the travel keeps your beach wedding ceremony even more stress free. There are also many unique dining locations for you and your guests to enjoy for a reception. DO I need a permit for my Daytona Beach Wedding? Not only do you save money on hotels and our beach wedding packages in Daytona, but you save money by not having to get a permit. As long as you stay in our package guest count, you will not need a permit for your Daytona Beach wedding ceremony. For weddings with a guest count over 75, a permit fee may be required. When is the best time to have a Daytona Beach Wedding Ceremony? Winter Weddings: Weddings during the winter month will be something you look forward to. 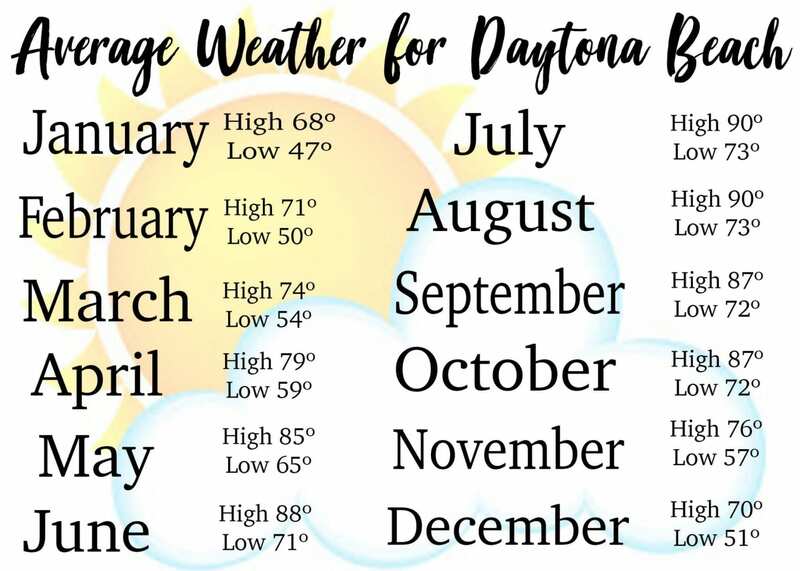 As you can see, Daytona Beach is truly a piece of paradise with the warm winters. You and your guests will enjoy escaping the cold and possibly even the snow to vacation to the beaches in Florida. Spring Weddings: The spring is one of the most beautiful times for a Daytona Beach Wedding. With more sunshine than the winter, you will get to truly enjoy some beautiful beach days while visiting for your beach wedding in Daytona. 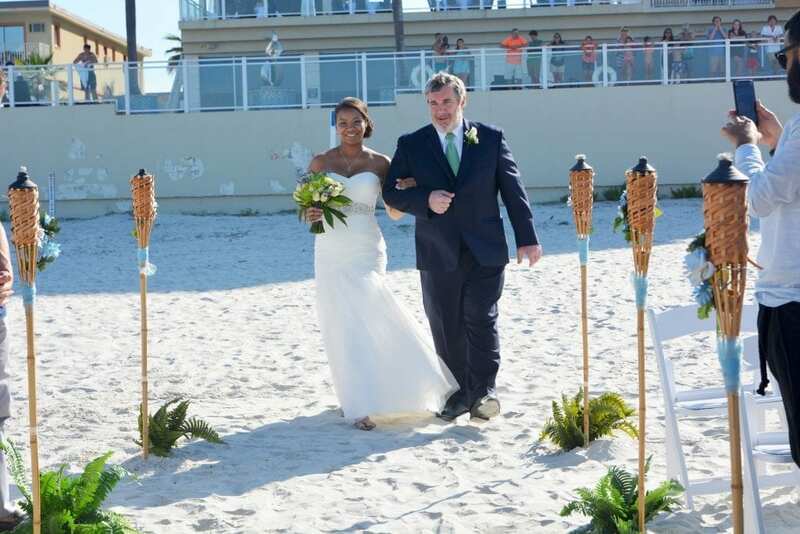 Summer Weddings: Summer weddings in Daytona Beach are the ideal choice for vacationers. While the days can be hot, we perform our beach weddings in the late evening to avoid as much heat as possible. Summer weddings will allow you to truly enjoy the sunshine and ocean. The Atlantic Ocean can be too cold for most swimmers during the early spring. So, if you are looking to take a true beach vacation, summer is the month for you. Fall Weddings: Fall weddings consist of the perfect weather. Not too hot and not too cold. The beaches also tend to be less busy as school is back in session and there are no major breaks or holidays to crowd the beaches. The Shores Resort and Spa is one of the most popular choices among our brides. With nice rooms, a large pool deck, beachfront fire pits and s’more kits, private oceanfront cabanas, oceanfront tiki bar, heated pool, kids club and more. You can also setup a reception with them if you are looking to stay in one location for your beach wedding. We also love that you can take advantage of their spa and head down to get your manicure, pedicure and hair done for your wedding. This is truly an all-inclusive Daytona Beach Wedding. Upon booking with us we can provide you with the addresses for a few options on private homes for your beach wedding. We can perform the beach wedding directly behind the house, and in some houses you will be able to hold a small reception. We love this idea for smaller, intimate weddings. This will allow you to stay with your bridal party (if you choose) all in one house, enjoy your privacy, and get to spend time together while visiting. One of our houses has an amazing pool deck, fire pit, and more for you own private area. 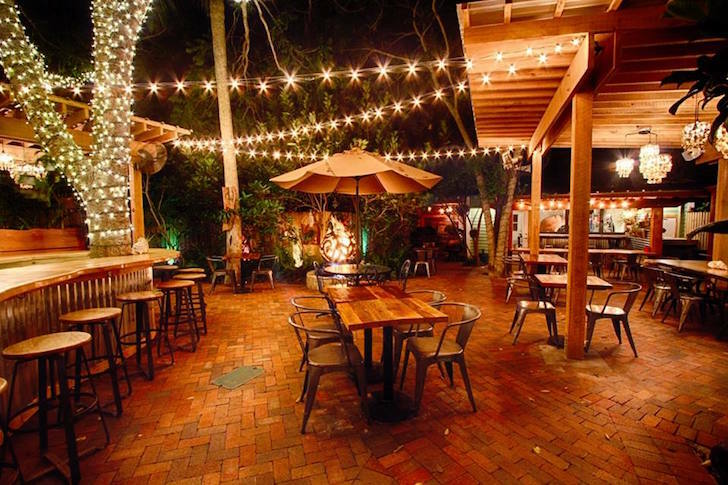 The Garlic is one of the most unique locations for a reception in the Daytona Beach area. You can rent out part of the location and they will cater just to your wedding. The Garlic is complete with outstanding food and service and will surround you and your guests with beautiful scenery. 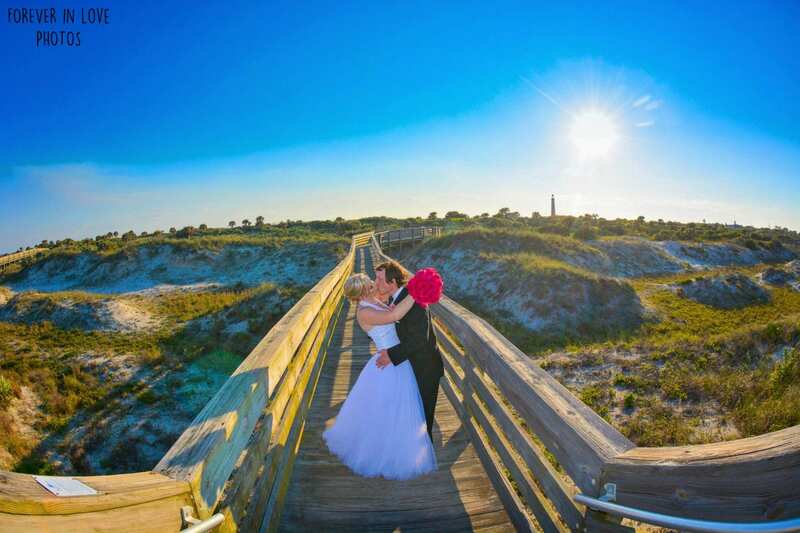 If you are considering having your reception at the Garlic, we recommend having your beach wedding down the road in New Smyrna, just outside of Daytona Beach. Off the Hook Raw Bar and Grill is a riverfront restaurant in Ponce Inlet, which is the southernmost point of Daytona Beach. We recommend making a reservation for the patio for your reception. 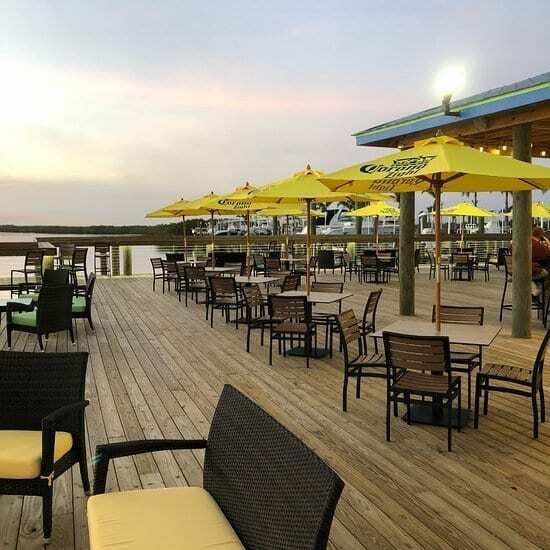 As the sun sets over the river in Daytona Beach, you will have the perfect view for your guests as you kick back, relax and enjoy a delicious Florida meal. Our Daytona Beach Wedding Packages are the most affordable options we offer. If you are looking for for an intimate elopement or vow renewal ceremony, our Simply Packages include the bamboo canopy, officiant and ceremony photographer. Our Nautical Knot Packages are great for smaller destination celebrations. With chairs, canopy, officiant, music and more you will get the full wedding ceremony experience. Our Destiny Beach wedding packages include more chairs, more canopy options, officiant and more and are great for larger parties. Our Distinctive Design Beach Wedding packages are our heart and soul. We put our design teams hard at work creating the most perfect package possible. With every aspect you need covered for your wedding ceremony, every element upgraded and decor you won’t get anywhere else, our Distinctive Design Packages truly are unique. Here are a few of our favorite references to get you started. Once you have reserved your Florida beach wedding with us, you will receive a list of references. First, check out our Florida Beach Wedding Packages to choose the decor that fits your needs. If you have already found your Daytona Beach Wedding Package that you are interested in, we would love to discuss wedding dates and details. Contact us to start planning your Florida wedding.